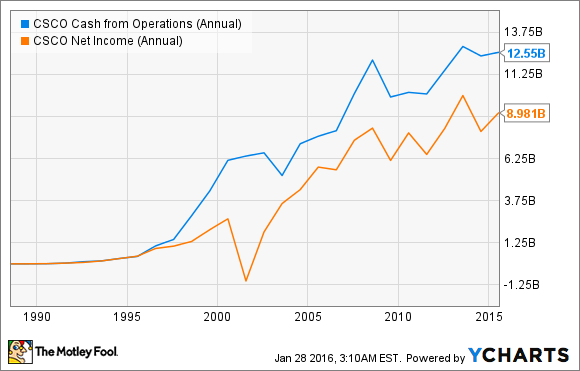 2 Stocks With Better Dividends Than HP Inc. The company yields 5%-plus on its shares, but there are better tech stocks for income investors. The tech sector isn't known for its dividends, but those that do exist can be pretty rich. Case in point: HP (NYSE:HPQ), whose $0.50 quarterly dividend yields more than 5% as of the most recent closing stock price. A company's dividend yield, of course, isn't everything. It may be high due to the unpopularity of the stock, or because its issuer has decided to shovel more of its hard-earned cash into shareholder distributions. HP's dividend yields more than many rival tech issues, but this is due more to a low share price than anything else. The company -- the legacy PC and printer business from Hewlett-Packard, which split into two publicly traded entities last November -- sells products that are looking awfully mature, and probably won't grow too strongly. At the same time, it hasn't effectively pounced on new technologies in those categories such as 3D printing. So I think there are better dividend-paying tech stocks for investors to buy, even if their yields aren't necessarily as high as HP's. Here are two that I feel are particularly worthy of consideration at the moment. There are hot young tech companies, and there are more mature incumbents. 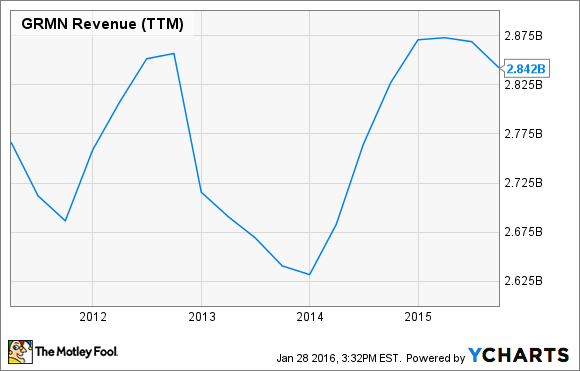 Cisco Systems (NASDAQ:CSCO) belongs firmly in the second category. It makes products -- chiefly networking components like switches and routers -- that aren't considered particularly cutting edge these days, and its products don't have the wow factor of sharper, more-current technology. But it's a consistently and strongly profitable company that throws off plenty of cash. CSCO Cash from Operations (Annual) data by YCharts. Although revenue hasn't moved up dynamically during the past few years, some of its younger product lines are starting to produce meaningful growth. One is the data-center segment, the sales of which booked a 24% year-over-year gain in Q1 FY 2016, to nearly $860 million. Another is collaboration solutions, which improved by 17%, to land at more than $1 billion. Those aren't yet big enough numbers to give a serious boost to revenue -- total for the quarter: $12.7 billion -- but if the company can keep up those growth rates, it has the potential to get meaningful in a hurry. At the same time, the top line for Cisco's core-switching category is also rising slowly and steadily. It recorded a 5% sales gain in the quarter, to just more than $4 billion. Cisco probably won't zoom ahead in the coming days, weeks, or even months -- those newish divisions need more time to grow. The company's guidance for the current quarter was tepid, and the shares have traded down since. But that means they're a nice buying opportunity -- just now, they trade at a trailing-12-month price-earnings of less than 13, giving plenty of upside potential. And a lower price means a fatter yield: Cisco's is currently a juicy 3.6%. One veteran tech stock on the ignore list of many investors is Garmin (NASDAQ:GRMN). Once upon a time, the company was a top name in GPS devices, a market that has been driven toward obsolescence by smartphone apps. Who needs a stand-alone GPS when an iPhone will guide you to your destination with turn-by-turn voice directions? But Garmin hasn't lost its way. It's built on its existing technological foundation to broaden its product line beyond vehicle guidance offerings (although those, in new-generation configurations, are still being made). It's got a raft of products that address the current market for wearable tech, such as fitness trackers and the Internet of things. Its products have received very good reviews for their accuracy and functionality. Several of those lines have stiff competition, but Garmin's got a lot of variety spread across its five business segments. On the back of that, it has managed to grow sales. In the company's most recently reported fiscal year, 2014, it booked a 9% annual improvement in top line -- to nearly $2.9 billion, its highest figure in years. Like Cisco, Garmin trades at a trailing 12-month P/E of less than 13. That's cheap for a company that's active in numerous useful consumer tech categories. It tends to spend much of its free cash flow on dividends; but in my opinion, it should be able to maintain FCF at or above current levels. That's good for stockholders, as the current $0.51 per share quarterly payout yields a chunky 6%.